I began EdTech 542 not even knowing the definition of Project Based Learning. I couldn’t have had even a one-minute conversation about it. I took this course as part of my Technology Integration Certificate, but it wasn’t a class that jumped out of the course schedule and piqued my interest. Now, after only eight weeks, I feel I have an educated and applicable understanding of PBL concepts and many great resources to refer to as needed. I have seen my classmates create comprehensive PBL projects on a wide variety of topics. I have grown in both content knowledge and supporting technology tool expertise. I have designed a PBL unit from the ground up and feel the final product is ready for any teacher to pick up and implement. I feel the topic I chose is applicable and will instill strong content knowledge and 21st Century skills. In short, it’s been a journey. What do I now understand best about Project Based Learning? What do I understand least well? The most critical things I learned were the basic eight elements of PBL units. Each of them makes sense to me and I tried to build my own project around them. I am still trying to wrap my mind around content area curriculum and corresponding assessments, which does not come naturally to me since I am not a certified teacher. I really liked starting backwards and designing the assessments first. It was good practice and kept me focused on what I really wanted the students to take away from the project. What did I expect to learn in this course? What did I actually learn? More, less, and why? I expected to learn the academic rationale behind PBL and I did. I didn’t expect to see so many good examples of PBL projects in action, as we followed each one through the process. That was really helpful and made the end seem attainable. I was most impressed with the idea of authenticity. I feel so strongly that education should be real for students. I get so frustrated when there is such a disconnect between what is learned and what is remembered, what is taught and what is applied. One of the reasons I really enjoyed this class is because PBL is the type of learning I always wanted when I was in school and seldom received. I’m determined to do better with any student in my care. What will I do with what I have learned? I recently saw an old friend who has been a teacher for the past 10+ years. She is a big advocate of PBL and incorporates it into all that she does. She is an expert with years of experience using the PBL principles I just learned. I am certainly not at that level, and do not have a class of my own to apply my new knowledge. However, as I dive into my new job as K-12 Technology Integration Coordinator, I am glad I have some PBL knowledge behind me. I will be able to offer teachers ideas, encouragement, examples, and support as they try to implement more PBL in their classrooms. For me, Project Based Learning is an exciting opportunity to instill both content knowledge and 21st Century skills in students. If the project is planned and implemented well, students will emerge not only more educated but more confident. They will remember more longer since they have authentically applied the knowledge in a real scenario. It is a win-win for everyone. I always loved the last night of girls’ camp. We sat around the fire, expressed feelings, supported each other, and reflected on the experiences we had shared together. After an intense week of crafts, hikes, food, skits, and certification skills, it was nice to gain some closure. The same concepts apply to Project Based Learning. PBL units are intense. They take a great deal of time and energy on everyone’s part. Students invest much of themselves as they dive in and take responsibility for their learning. As a result, students grow in knowledge and collaborative skills. After all of this effort, it is nice to bring some closure to the unit as well as reinforce what the students learned in the process. Teachers must plan time to debrief and reflect on the entire PBL experience. This involves both teacher and student reviews. Students need to be given an opportunity to discuss and reflect on what they have learned. This will help them realize what they have learned along their journey. Students should also have a chance to fill out a form or survey evaluating the unit. Teachers should take time while the unit is fresh in their minds to make adjustments that will help them the next time. Who will be involved in the post project assessment process? For Project: Me, the last day will be spent in celebration. Students will watch the student-produced Day in the Life of Me photo project. They will be given “uniqueness” awards and participate in a class discussion on what they have learned and their observations. They will also complete a survey. The teacher will read over student surveys, reflect on notes taken during the unit, and make any adjustments needed on an evaluation form. This will help them adjust timing, content, scaffolding, and assessment needs for the next time they teach the unit. While the assessment and reflection process will likely take place during one class period, it is important that the teacher refers back to the project and ties it in to other units whenever possible. The technology tools introduced during the unit can be used in other units. Reminding students what they have already learned is an important way to help solidify their skills. If done well, students will enjoy the chance to reflect and discuss the PBL unit. They will feel a sense of pride and authentic accomplishment. 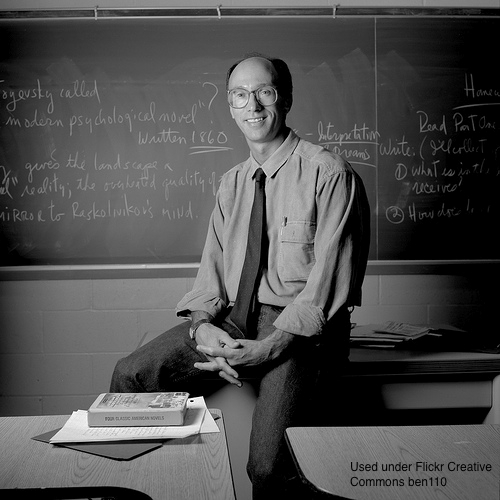 I was in high school chemistry when I first heard the term “facilitate.” I adored my teacher because he was the first one who ever believed that he was to sit more on the sidelines and less front-and-center. He left the responsibility on me to learn. He taught us that most of our education had involved “spoon-feeding” and “hand-holding” and he wasn’t going to do that. I liked this new approach but wasn’t quite sure what to do with it. I felt a little bit alone, like I had just been dropped off by my mom at my first day of Kindergarten. By the end of the year, I had studied more chemistry than I knew existed, but I also gained an academic confidence I didn’t have before. I am still grateful to him for his efforts. I am beginning an exciting new role as the K-12 Technology Integration Specialist at an international school where I live. I will not be in the classroom but will mainly support other teachers in their use of technology. I certainly see my role as a facilitator, which by Merriam-Webster’s definition is “one that helps to bring about an outcome (as learning, productivity, or communication) by providing indirect or unobtrusive assistance, guidance, or supervision.” I like that. The keywords to me are help, outcome, indirect, and guidance. So what are the skills successful facilitators need to have? Jennifer Tylee (1999) notes that part of facilitating student learning is to create opportunities for students to learn by assessing the students, planning the learning, implementing the plan, and evaluating the process. 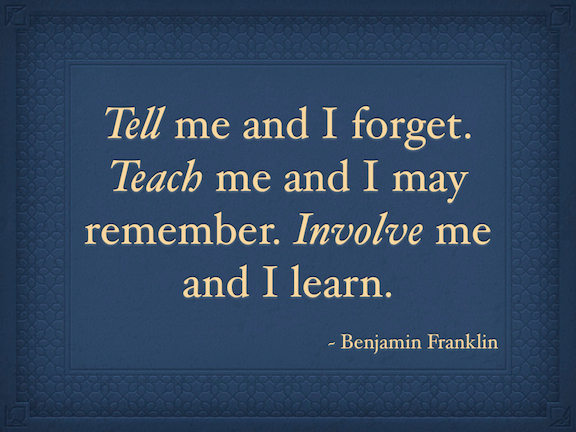 Teaching is still part of it and instruction is important. But facilitation is often more about the how than the what. Facilitators need to encourage students to take responsibility and delegate tasks, be warm and uplifting, promote consensus during discussion, assist in goal setting, draw conclusions, and generally guide the overall process (Embedded Learning Academy, 2009). 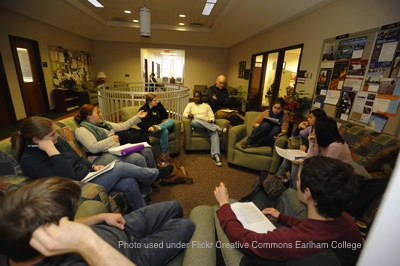 Facilitation requires teachers to be more engaged, more involved, and more mindful of how the students are doing than they may be used to in a lecture-type setting. I foresee that some teachers will struggle with facilitating PBL more than others, depending on what type of classroom culture they have. If given enough support and encouragement, students will develop competencies and skills they need to be successful. They will retain information longer and perform better. If they are new to Project Based Learning, they will likely need more support and scaffolding than if they have been doing PBL projects for awhile. I’m hoping to offer support and encouragement to teachers who want to do more PBL projects but don’t really know how or where to start. I am hoping a few will be motivated enough to give it a try, and will be encouraged to continue because of their successes. There is no golden ticket to the solid, well-rounded, 21st Century education our students need. While we hope they will become critical thinkers and problem-solvers of the highest order, the truth is that it takes a village to get them there. Instruction, while based on solid pedagogical practices, is still a bit hit and miss and involves a lot of trial and error. Project-Based Learning (PBL) is a certainly start. When designed well, PBL can be an excellent way to help students acquire not only content knowledge but the practical application behind it. If students see a real-life authentic application of what they are learning, and if they can use what they learn to benefit those around them, they likely will remember it longer. Their learning experience will have positive meaning and they will likely be more motivated to use a similar approach in other content areas. However, PBL is easy to criticize because it is not widely understood or practiced. It looks different than a standard learning paradigm and it takes an experienced teacher to implement it well. On the surface it looks less organized, less content-driven, and guided by students. A good PBL unit, however, has been planned and organized well and is based on solid content area standards that are communicated and assessed throughout the project. PBL promotes student inquiry and gives them freedom to lead their own learning experience, though they are scaffolded throughout the process and offered many tools to help them. An obvious downside of PBL is that it takes a significant amount of time to plan and implement well. For this reason, many teachers and schools don’t see it as a practical option, as it takes time and resources they don’t feel they have. However, schools and individual teachers can start somewhere and start small. With a little research and determination, one project can be tried, then another, then another, until teachers and students demonstrate desired outcomes. As success stories spread, others will be more likely to give PBL a try. The Buck Institute for Education lists three areas for further research on PBL: Synthesis (summaries of research conducted across multiple sites or multiple studies); Outcomes (research that can range from improved attitudes to standardized test scores); and Practices (differences in use of PBL, including tools and professional development designed to improve teaching and learning). There is significant research to show that PBL increases academic test scores, results in more effective learning, contributes to longer retention, improves student 21st Century skills, and is especially helpful for lower-achieving students (BIE, 2009). If even part of these outcomes prove true, then PBL is worth a shot. Students truly deserve the very best we have to offer. As a parent of four, I know that kids don’t always “get” it. Sometimes when I think they are listening they are not, or I think they are not paying attention and they remember specific details. It’s no different in the classroom. Teachers spend a great deal of time trying to help students learn and remember what is being taught, often with varying results. How do we know they really get it? More importantly, how do we ensure that students will remember such content long-term and apply it in their lives? The answer lies, at least in part, in authentic assessments. I’ve taken a great many tests in my lifetime. Most of them I performed very well on, especially ones that were detailed-oriented and involved memorization. I studied and crammed my brain with information, hoping to remember it all long enough to score well on the end-of-chapter/unit/year test. I usually did. But now that I have been out of school for years, most of what I learned I have long since forgotten. Most students will not remember everything they learn in school for the rest of their lives. Does that mean we, as educators, give up and don’t try? Of course not. We try, we use different approaches, and we do our best. Project Based Learning (PBL) involves students throughout the entire process, which can include having them help determine what is going to be assessed and how they will meet such criteria. The more students have a say in what they need to learn – and how they will demonstrate they have learned it – the more they will remember. 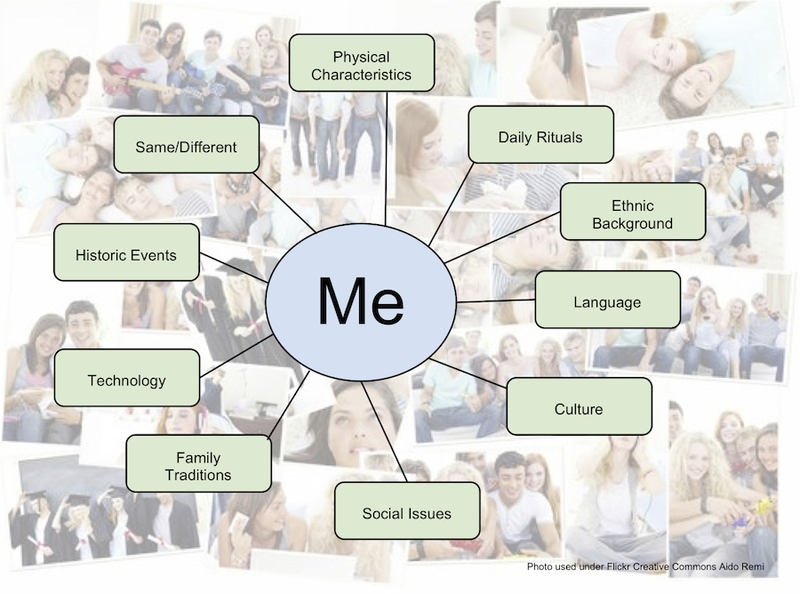 Has personal relevance for students (e.g., provides a tangible product they can use). Students become more confident and articulate about what they know. Students feel ownership over the process as well as the product of their work. Notebooks, works-in-progress, and routine presentations are basis of assessment. Occasions for reflection and discussion are integrated into ongoing project work. Students are assessed on what they know and do, not what they don’t. Students’ goals are solicited and become part of those assessed. Criteria for judgment remain visible and accessible to students from the beginning. Performances are viewed and judged by a broad group of people. Teachers and students both speak of the qualities of good work, and how to attain it. Standards used reflect those of adult practitioners in the field. Categories and criteria of assessment remain open-ended, subject to challenge and revision. If teachers would incorporate these four principles into the assessments they offer, even those not technically PBL, I believe students would perform better and retain more. Many teachers don’t actively involve students in designing the assessment, so this may take a little encouragement and practice. Teachers need to see the benefits of allowing more student input during assessment development and how it is a win/win. For Project: Me, I have designed both formative and summative assessments that will help students “get it” and demonstrate that they “got it.” I will guide the students through a scaffolded brainstorming activity early on that will help them determine what it is they need to know and how they will demonstrate they have reached the standards. For formative assessments, they will self-evaluate their reflective journals and project work reports weekly, create a visual project organizer using a technology tool, and create a project prototype for evaluation. For summative assessments, students will complete a short essay test on what they have learned about themselves and uniqueness, self-evaluate their completed reflective journals, and self/peer-evaluate their presentation both for content knowledge and 21st Century skills. By using a variety of assessment tools, students will be encouraged to set goals and stay on task, track their progress and growth, and produce a culminating multimedia project. Such strategies will help students find relevancy in what they are doing, be assessed on what they are actually doing, communicate with an outside audience, and produce quality work. In the end, they will remember this project and will have truly learned something valuable about themselves. Now, how can I implement such strategies at home…? I have myself a project! I have called it “Project: Me.” I have also created a website that highlights various components of this PBL unit. Project: Me will take students on an exploratory journey both close to home and far away. Initially, students will be asked to consider the characteristics, cultural background, language, social issues, family traditions, holidays, and history that make them unique. They will also explore various ways they use technology and how technology has an impact on the way they interact with the world. They can do this through interviews, writing prompts, group discussions, and other ways. Students will work collaboratively with another classroom in a different geographic location that is implementing the same unit, and they will communicate about similarities and differences. Both classes will participate in a one-day photo essay where each student takes several photos throughout the day that represent various aspects of his/her life. Some data can be integrated into charts and diagrams for comparison. Students will develop a multimedia presentation or website that showcases their findings, including elements such as art, photos, music, recipes, poetry, writings, and a timeline. This week I researched what makes a good driving question. As I first started reading, I wondered about the word choice of “driving,” not quite sure of its meaning. Did driving mean “energetic, vigorously active” geared to keep the students engaged, or more of the “vroom vroom” driving that gets students where we want them to go. It probably means both, though I like the idea of a class of students sitting in a car driving to a destination. This project will certainly be a journey, one full of discovery and exploration. Students will need to dig deep within themselves, their families, and their sense of community and culture. I hope they will emerge with a better appreciation of who they are and how they fit into the world around them. One of my fellow classmates commented that this type of soul-searching project is perfect for this age group (grades 6-8) who are still sorting out their identity. I hope they enjoy the ride. I particularly liked an article about the importance of teachers using essential questions as a powerful tool to focus student efforts toward a meaningful goal (TLC, Using Essential Questions to Focus Teaching and Learning section, para 2). Driving Question: What makes me and the life I lead unique? I left it purposefully open and simple. I think it sums up the whole of what the project is about: uniqueness. Looking at the criteria of a good driving question, it has the main elements: it is challenging, relevant, and interesting (who doesn’t like talking about themselves? ); it is open-ended, complex, and requires higher-level thinking; and it is linked to the core standards of what the students will learn (Buck Institute for Education, Writing A Driving Question section, para 3). Ten subquestions will help students get thinking about the various aspects of this project and tie in well to the overall question. I explored various technology tools and started a list on my PBL website. Part of our assignment this week is to create a visual organization of our project using a web-based tool. I experimented with Gliffy, Bubble.us, Inspiration, and xtimeline, but in the end I used Google Docs drawing tool for its ease of creating and sharing. I have a long way to go on this project, but at least now I have a focus and a direction that I’m pleased with. Every classroom is diverse. Granted, some may be more diverse than others, but all classrooms are filled with individual students who need individualized instructional strategies. Diverse classrooms may include EFL/ESL students, students with a disability, students who are gifted, and students who come from various nationalities–making it impossible for a teacher to meet all student needs all the time. Problem Based Learning (PBL), when implemented well, has great potential to reach diverse students. I am currently attending a conference with my 10-year-old son at the University of Nevada in Reno for profoundly gifted students and their parents. I have watched, learned, and listened, and I am in awe of the wide variety of interests and talents all around me. These students have been given wings to fly, to achieve, to pursue their passions. Many face struggles fitting in to the public school system. Others are in private schools or are homeschooled. Many have been exposed repeatedly to PBL and some have become young ambassadors who have created non-profit organizations, websites, and products. I have seen first-hand the power and potential of PBL. For my assignment this week, I explored dozens of PBL projects. The types of things teachers and students are accomplishing is very exciting. The ones that most intrigued me were the ones centered on culture, identity, and community. One ePals project I really liked is called “The Way We Are.” It is a National Geographic collaborative learning effort that has students explore how they are similar and different with students in their partnered classroom, how does the natural environment affect their lives, and what part the region’s culture plays. The project connects classrooms by grade level or region and has students email back and forth through ePals to explore various questions. Some of the objectives include helping students describe their lives in concrete details, use maps to analyze places, identify similarities and differences, give specific examples of different cultures, and build a relationship with someone from another part of the world. As a culminating project, students will create a digital presentation on what they have learned. I love this project and would like to do something very similar. Because I have had the unique opportunity to live with my children in various parts of the world, I really believe in exposing students to global opportunity and awareness. There is something very powerful in helping a child form a real connection with someone far away. Somehow it makes the world smaller, more real, and more human. My own children have friends in many countries, and they have a real connection when they hear about world events and when we travel. In the Fall, I start as the technology integration specialist at my children’s international school in Kathmandu, Nepal. The students are in a perfect position to do something like this because they come from many backgrounds and nationalities. Our school is about one-third American, one-third Nepali, and one-third others. There are many factors that make each student unique in their culture and community, and I think it would be valuable to share these things with another classroom. I’m struggling a little with what age group to do it with because I am not a classroom teacher, and the project’s success will depend largely on what teacher I choose and his/her teaching style. The project incorporates national geography standards, but it could easily be adapted to include 8th grade U.S. History or really almost anything else. There are also many social issues in Nepal that could be looked at, so I’m considering some sort of pollution, water, or ecotourism option as well. An interesting study highlights how PBL has helped diverse 8th grade U.S. History classrooms. The study examines history learning among three groups of learners: students with disabilities, students without disabilities, and students enrolled in an honors class. “Special education researchers demonstrated that inquiry-based activities, such as project-based learning enhance students’ achievement and motivation in social studies classes” (Okolo, Englert, Bouck, Heutsche, & Wang, 2011, p. 418). While this article focuses mostly on Web-based history learning environments like the Virtual History Museum, its observations reach further. Students from all three groups grew in factual knowledge and reasoning about the unit’s key concepts, and efforts made to help students with mild disabilities also improved the learning for all students as well (Okolo et al., 2011). Truly, PBL allows for great flexibility and encompasses more students. It can help students who are struggling and students who are gifted. There is something for everyone in a well-designed PBL unit that can really make a difference. I’m excited to move forward from here. Okolo, C., Englert, C., Bouck, E., Heutsche, A., & Wang, H. (2011). The virtual history museum: Learning U.S. History in diverse eighth grade classrooms. Remedial and Special Education, 32(5), 417–428. I had a hard time recalling most of the projects I completed during my schooling. A few things came to me, like the 3D panorama of Salem, MA, or the puppet of Franz Kafka. I recall shopping for markers, poster boards, and glue sticks. The point that I don’t really remember the content behind these projects is, well, the point. They lacked meaning and relevance. While some allowed me to express creativity, they had little redeeming or lasting value. Today, project based learning is the antithesis of what I experienced during school. When designed well, a project based learning unit gives students an opportunity to actively participate in an authentic learning experience. Because of the level of effort, leadership, and collaboration required, students generally remember the content indefinitely. They are more motivated because they see meaning and relevancy to the world around them. They gain critical higher order 21st Century skills that will benefit them for years to come. Some projects have led to changes in the community or school environment. In short, projects “build vital workplace skills and lifelong habits of learning” (Buck Institute for Education, What is PBL? section, para 1). Isn’t that ultimately an educator’s goal? The Buck Institute for Education states that in PBL students explore a question (often called a driving question), problem, or challenge through inquiry, which helps students learn content standards and develop 21st Century skills. It is a constructivist approach to learning, where the students play an active role during the process and the teacher is more of a facilitator. Students try to answer a question, something that is relevant or has some sort of meaning for them, that is greater than the actual assignment (Curtis, 2011). PBL shares many similarities to problem based learning with a few noted exceptions. In problem based learning, students are generally given a problem, often in the form of a case study, in which to explore and solve. In project based learning, students form the question or problem and create a project to share outside of their classroom in a real-world environment. EducationWorld (2011) lists several components of both approaches to learning, noting their similarities and differences. It notes that the main difference is in their application, with project based learning focusing on the product and problem based learning focusing on the problem and the process. Compelling research shows that project based learning is highly motivating for students because of its real-world scenarios and relevancy. If students feel like what they are doing matters, they are more likely to engage and enjoy. Engaging students by solving real-world problems is a great motivator (Curtis, 2011). Project based learning has been shown to cut absenteeism, engage students, boost cooperative learning skills, improve test scores and analytic abilities, and increase the likelihood of applying higher-order thinking skills (Edutopia, 2001). Students like a good challenge, especially if it is one that is authentic and will reach outside of the assignment and classroom. Ultimately, students remember more when they are more engaged and when the content is meaningful to them. These components are all generally found in a good problem based learning unit. I especially liked the idea of reaching outside of the classroom environment. Students perform higher quality work when they know they have a real audience. Problem based learning is an exciting approach to education that can greatly benefit students, teachers, schools, and the community as a whole.